If a new Vodafone Idea customer wants to get a similar deal, they must buy a SIM card at Rs 76. “It creates better loyalty with the existing base and stops the population of low-quality acquisitions and, therefore, higher churn. 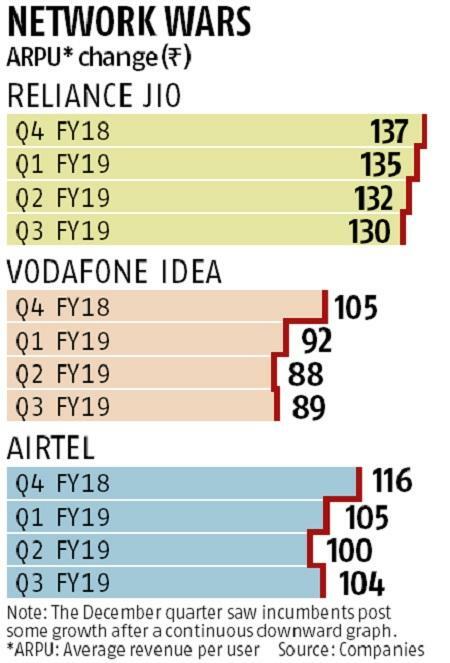 So we are kind of arresting the high-growth, high-churn model to bring it down to better base management, as also better management of the cost of acquisitions,” said Balesh Sharma, CEO, Vodafone Idea. “The company (VIL) indicated that subscriber churn on SIM consolidation and minimum recharge will continue in Q4FY19 also. However, it indicated that the excited customers had extremely low ARPU (high single digit). Therefore, residual ARPU would be higher,” noted Bhupendra Tiwary, analyst, ICICI Securities. Over the past two months, the two incumbents have introduced almost similar plans at comparable price points as they inch the market towards a gradual tariff hike. Airtel has introduced this plan even as the management (and analysts) has given up the hope of organic tariff growth until Jio decides to raise tariffs. Hence, from last quarter, we launched minimum ARPU plans to ensure that every customer who stays on the network gives us a minimum commitment,” said Nilanjan Roy, global CFO, Bharti Airtel during the Q3 earnings call.